The Long Island Storm baseball team is one of the best semi-professional organizations in the country. Over the last 17 years, the Long Island Storm has won over 50 tournaments and 10 national championships. 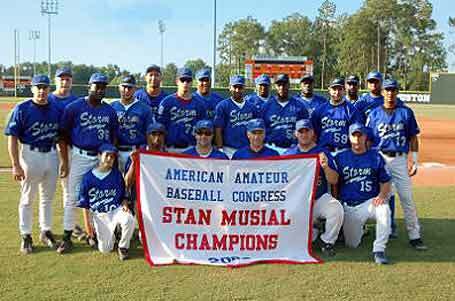 There have been over 100 professional baseball players that have been a part of this organization since it was founded by Michael Leiderman in 1987. The Storm has a new 1,500 seat state-of-the-art baseball stadium that is located on the campus of Farmingdale State University.